Work and live with people from all over the world, and meet local people who know and love your host country! "Khaya" means village or dwelling in several African languages – but it also has a deeper meaning, that of ‘belonging'. In Xhosa it also means home or homestead and in Swahili it means boma, which is an enclosed secure area for cattle. At Khaya Volunteer Projects, we make our volunteers feel that they belong. If you choose Khaya to organize your volunteering experience, you will feel secure and well-informed. You will also feel that you belong to the project you decide to work with, as Khaya fits the right people to the right projects. Volunteers from around the world have the opportunity to uplift and support volunteer projects in South Africa, Tanzania, Namibia, Malawi and Zanzibar. Based in Africa Khaya Volunteer Projects assists local partners and projects in Southern and Eastern Africa while focusing on responsible and ethical volunteering. The volunteering projects we offer are both unique and affordable. With us, you can volunteer with children; communities; sports development; healthcare; wildlife and conservation; and education projects. At Khaya, we founded several of the projects ourselves, which shows that investing your own time and money in supporting those in need goes hand in hand with running a successful organisation. Not only is this volunteer work incredibly rewarding, it's also great to do and experience during your gap year! We can offer you full packages which include volunteering and travelling at great prices. For those who are interested in gap year programs and volunteer work, we are aware that travelling and staying abroad is a big step, which is why Khaya commits itself to honest pricing and crystal clear information so that you know exactly what you're going to get. Ethical Volunteering is our priority and we work according to a certain criteria to ensure that your volunteering efforts and your financial contributions are used in the best way possible. If you're looking for great prices, quick communication and personal service, join one of Khaya's volunteering projects and let us give you an African experience you'll never forget! Grow or consolidate? The ongoing journey of Khaya. Any organization, company or initiative comes at moments of decision making regarding its progress and continued success. Khaya is no different and has to take such decisions to grow on multiple levels. Growth can be made in the amounts of volunteers we facilitate their stay for, growth can be in impact we have on our partner projects in the different countries we work in and growth can be made in the offering of projects and destinations. These decisions regarding growth or consolidation can be a huge part of the success of an organization or business as making them at the right time can bring new opportunities and growth while making them at the wrong time can lead to increased costs, distraction from other aspects and cash flow challenges as growth usually costs money. As the founder of Khaya I have been long involved in such decision making and felt this was best done intuitively and according to the time of year as enquiries slowdown in certain months while other months are so busy you don't have much time to think about anything else then keeping everyone happy and moving forward. 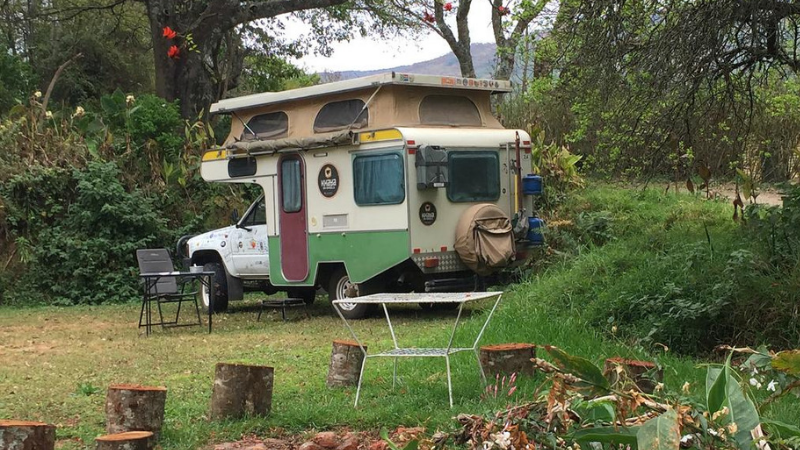 Since I decided to live a more nomadic traveling life (see more on Instagram Khaya.on.Wheels) 9 months ago and I have been on the roads of South Africa, Namibia, Botswana, Zimbabwe and now Zambia I learned to look at such decisions differently. Khaya's General Manager Igna is now in charge of the day to day running and sees things more clearly as I do now and the physical distance from the everyday running of Khaya has given me time and insights I never really had before. And so, we learn! My excitement of all the wonderful places I have seen and visited and the amazing people I have had the fortune to meet the last 9 months often triggered visions of new opportunities, new growth, new projects to partner with and support. This lead us to starting with Namibia where we have been able to partner with 2 exciting projects; the Desert Elephant Conservation Project and Oana Wildlife and Adventure Program. These well-established programs have proven their worth and professional operations and visiting them personally and seeing the passion in the people working here made the decision to partner easy. Next to South Africa, Tanzania and Malawi, Khaya has now exciting opportunities in Namibia. 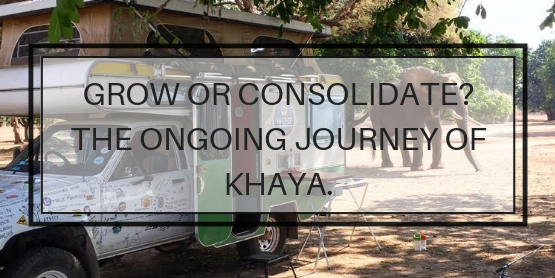 New projects to add to our portfolio always take time, first a visit (as we use as a golden rule), without personally getting to know the people behind a project we at Khaya feel we can't really offer such a volunteer opportunity. We like to know their drive and what the setup looks like, if they 'practice what they preach' and using this golden rule has showed its worth in long term relationships with partners and open communication to improve where we can. Plus filtering out those 'projects' that start volunteering opportunities only for the financial gain. After Namibia came Botswana where there are few volunteering opportunities compared to South Africa and Namibia but nevertheless some exciting Wildlife and Conservation and the big question came again; grow or consolidate? The excitement is there for sure to start in new countries like Botswana, Zambia or further up in Uganda but things take time. To add a new program to our offerings is quite a process few will actually see. It starts with communication between us and a program, then a personal visit, information gathered and written, checking that information with the project, getting good pics and videos for marketing, changing the website and then itself marketing of course. All in all, a process that we have learned to take almost up to 2 years before we have volunteers arriving. As you can understand it is quite an investment in time and money how we do things at Khaya but at the same moment our strength. Many providers you will find online hardly visit the projects they offer and have little to no real relationship with those partners. It is a quick few emails and just adding a project on their website and see if people book. This is not how we like to work and despite the big investment of time and finances to start new partnerships we see this as the only way to claim our responsible and ethical volunteering policy. So, all those new exciting destinations and projects will need to wait for now, the future will bring new growth again but for now we consolidate and put our energy and focus on promising our partners and customers the best we can give them, our full attention and dedication to make it work! New projects and destinations will surely follow when the time is ripe, so stay tuned to see what next year will bring.